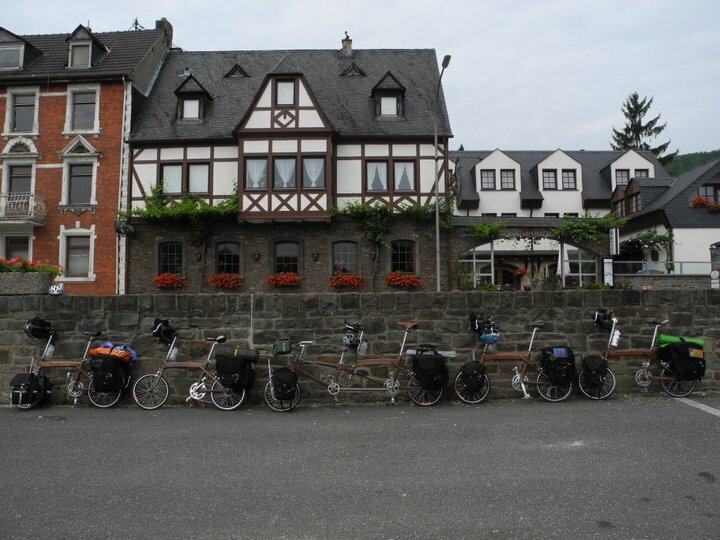 These are the bikes my family and I rode in Europe last summer. They fold-up and fit in a “check-on-able” size suitcase. The bike in the center is a tandem that I rode with my eight-year-old son. He sits in the front for an unobstructed view and I steer from the rear. The tandem packs up into two suitcases. Nice site Jay. Your work and the website are impressive. Thanks Paul. The Ohio to Erie ride with you was a blast!